When Lost Girl Brittany Gotschall wrote to share some of the places that she’d already visited by her early 20s, we had to tip our caps. When it comes to the sheer number of passport stamps and miles traveled, she’s almost got the three original LGs beat! Since she’s she’s quite a seasoned vagabond, we figured she could handle our super-simple travel challenge: To come up with a short list of her five destination and her reasons why. Picking favorites wasn’t easy, but Brittany handled our request like a champ! In my short 25 (almost) years I have been fortunate enough to visit some of the most beautiful places in the world. As most of you fellow travel enthusiasts have most likely come to realize, traveling becomes addictive and, for me, it’s what makes the mundane responsibilities of everyday life a little more exciting. I have truly loved every place I’ve ever visited, so when I sat down to think about a “Top 5” it was really difficult for me to narrow it down. The places I chose each offered me a glimpse into a completely different way of life and reminded me how much there is to see and experience. Keep in mind these aren’t in any particular order-there’s no way I could pick a favorite! 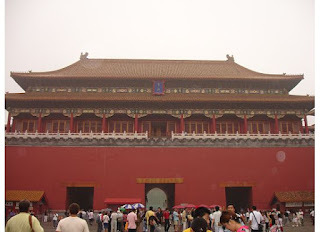 I visited Beijing in 2006, right after graduating college and before I got a job. I was having a lot of trouble accepting the fact that I was an adult and expected to fully support myself (what? ), in lieu of looking for a job, very strategically weaseled myself into a family trip that had originally been planned without me. My brother was studying abroad at Peking University, so during our 4 days in Beijing I got a true taste of local culture as well as the traditional tourist experience. The first night we stayed at a lower cost hotel near the university. My brother had been attending daily “language sessions” in the park, which was really just a group of American and Chinese students that sat together each afternoon to talk with each other. After nearly a month of these sessions all of the students had become good friends and in honor of our visit one of the Chinese students invited us to his home for dinner. 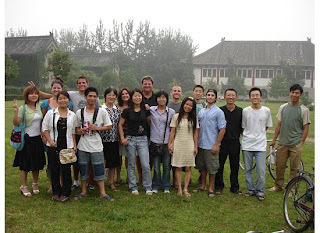 He lived in a Hutong in a 10×10 room with two other students. 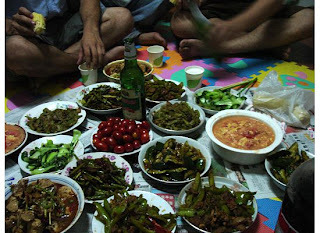 He cooked us dinner, about 7-8 different dishes in total, on one small gas burner in a single pan. Then, we all sat on the floor in a circle and ate out of community bowls – probably the most unique experience of my life. Amazingly, even though we couldn’t speak the same language, conversation never stopped. The rest of my time in Beijing consisted of the typical (and absolutely incredible) tourist sites. We stayed at the 5-star Peninsula hotel, which was stunningly beautiful and hands down one of the best hotels I have ever stayed at. We visited the Great Wall, the Forbidden City, the Summer Palace, and Tiananmen’s Square. We took a Hutong tour and visited a traditional Chinese food market. We walked down one the main street with a string of food vendors that served just about anything you can imagine fried (birds, crickets, snakes, tarantulas…yes, I’m serious). One recommendation for those planning to visit – pack the COOLEST clothes possible. A thick fog hangs over the city at all times and the temperature in the summer hangs right around 100 degrees with 100% humidity. I literally would have worn a bathing suit if that wasn’t socially inappropriate. 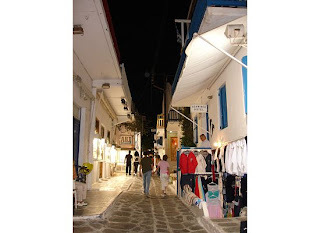 I visited Mykonos for about 8 hours during a Mediterranean cruise I took with my family in the summer of 2005. I instantly fell in love with the clean and quaint feeling of the city and beautiful beachside location. We were only there during the day, but had lunch at this amazing little restaurant off one of the side streets. Unfortunately I can’t remember the name, but there is definitely not a lack of restaurants to pick from. One of the best ways to see the island is to rent a 4-wheeler or a scooter. Since there isn’t much traffic, you can easily jet around the island. I wasn’t there during the evening, so I don’t have much to offer in the way of nightlife, but definitely stop at one of the little dessert/pastry shops and try some Baklava. Absolutely AMAZING dessert! One word to summarize the trip: CRAZY!! Costa Rica is my #1 recommendation for twenty-somethings looking for a unique beach vacation on a budget. Pretty much every hotel offers an all-inclusive deal. I know this might sound lame, but I promise it is worth it. I was able to pay off my entire trip before we went and literally spent only a few hundred dollars the whole week there. 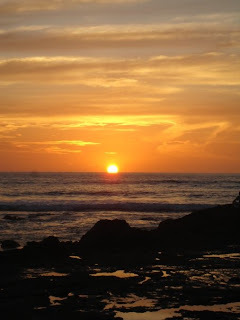 We visited Tamarindo, a really popular surf destination (translation – lots of cute guys)with no paved roads and just a handful of restaurants, bars and shops. We stayed at the Barcelo Playa Langosta, but for those planning to go I would recommend staying at the Tamarindo Diria. It’s right in the middle of town and draws a much younger crowd. Ziplining is an absolute must! We went on a full day tour that allowed us to zip line, horseback ride and swim in hot springs. It was probably one of the best tours I have ever done on any vacation. We also went on a half-day snorkeling/catamaran tour, which was fantastic. The snorkeling is beautiful and nothing beats a sunset from the water. The nightlife scene in Tamarindo consists of seven to eight bars and the locals have created a rotating schedule that each bar has its big night. Once you’re there, just ask around and someone will let you know which bar is the place to be on any given night. 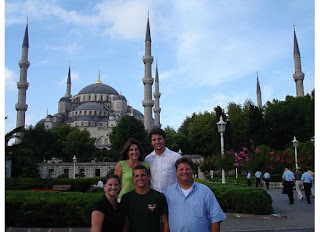 Istanbul was also a stop on the Mediterranean cruise of 2005. Pulling into port provided a breathtaking view of the expansive city, and as I looked at the skyline dotted with mosques I immediately realized that I was someplace very different than home. We had a private guide that showed us around the city on the first day. We visited a number of sites, but the most memorable were the Blue Mosque and the Grand Bazaar. At night the glow from the Blue Mosque is like nothing I’ve ever seen before. Five times a day there is a siren of sorts that sounds throughout the city requesting people to pray. Since Istanbul is a modern city with a number of tourists, prayers aren’t required but highly encouraged. You will also see a lot of women in western clothing even though the majority of the city is Muslim. 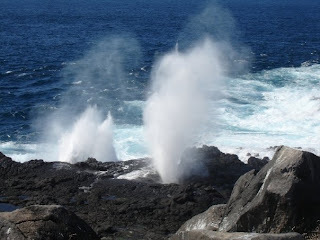 In December 2008, my family and five other families decided to visit the Galapagos Islands. Because they are a national park, the number of visitors allowed each year is limited. We started the trip on a private yacht with just our group and two tour guides. 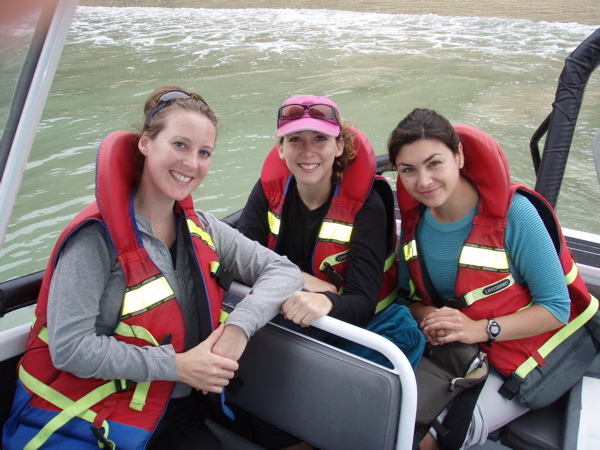 Each night began with a “briefing” of the next day’s activities and lessons about the wildlife we were going to see. Morning wake-up calls were promptly at 7 am, breakfast at 7:30 am and then off to the island of the day by 8 am. I had no idea what to expect, but when most people think of islands they picture someplace lush and green. 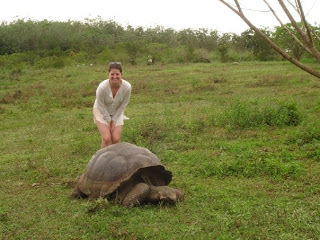 That doesn’t describe the Galapagos. They are volcanic and mainly home Sea Lions, Blue Footed Boobies and other rare birds and iguanas. 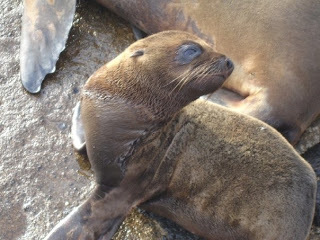 One thing I learned is that Sea Lions are related to the dog, which explains why they are so cute and friendly. I seriously wanted to take one home! The second half of the trip was spent at a small private resort on the island of Santa Cruz called the Royal Palm. The best part of the resort was the 20 person round table that fit our entire group for dinner. Each night we went into town, which was full of adorable shops, restaurants and bars. 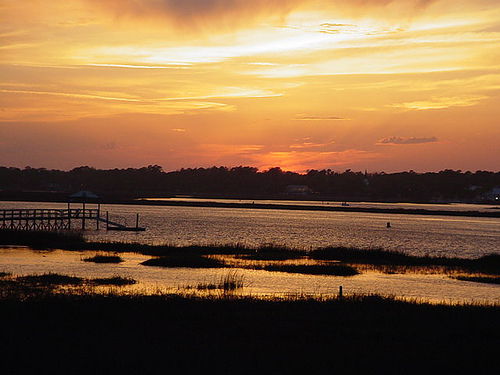 So there you have it…five of the best places I have visited in my life. Heading towards 30, I don’t plan to slow down. Even though work becomes a bigger and more important part of my life, there will always be a place for travel. At the Lost Girls behest, I’ve also included the top 3 the destinations I hope to visit before I’m 30. Here goes! I can’t imagine anything more amazing than an African safari. If I can follow up the Safari with a trip down to Cape Town, South Africa for a little relaxation by the beach, I’ll be set. This could possibly be the next big trip I take. Ideally I’d like to visit Madrid, Barcelona, Seville and Ibiza, but that all depend on how much time I can put towards it. Am I eligible for a sabbatical yet? Every person I’ve ever talked to about Prague has said it is the most picturesque city they’ve seen. I hope to build this in to a bigger Eastern European vacation, and hope to visit soon. Thinking about Costa made my day a bit easier…Pura Vida! And you MUST visit Prague…so beautiful, so much history…a fantastic city that I hope to go back to someday! Enjoy! Perfectly written piece. Your choices of destination is quite varied and interesting..Costa Rica piece is the one which drew my attention..hope to visit country some time later.. I would also recommend Australia – but I’m Australian, so I can’t be biased! Prague is AMAZING!! I spent a wonderful 4 months studying abroad there…i miss it everyday!! its a MUST! within.My profession is to always find God in nature.Delight in the beauty that surrounds you.